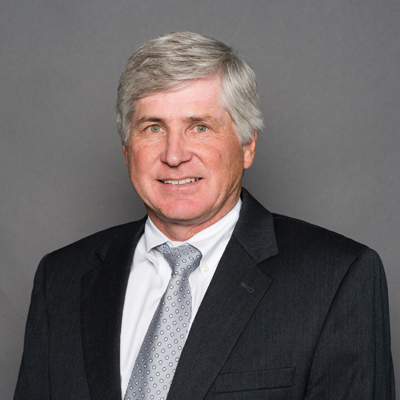 Mr. Walker initially practiced law with Wright, Lindsey & Jennings where he worked extensively in municipal and suburban improvement district formation and financing. Having secured his real estate broker license, Mr. Walker formed Walker Real Estate in the spring of 1989. He developed the residential neighborhoods of River Ridge Pointe and Canal Pointe. Beginning in 1990, Mr. Walker pioneered the development Riverdale Harbour, a 40 acre mixed used infill development in the Riverdale additions just west of downtown Little Rock. Mr. Walker, in addition to development, managed commercial office and industrial properties. As broker and lawyer, he was able to facilitate documents that resulted in closed transactions. Mr. Walker has been a principal or assisted as agent in over $30,000,000 in real estate transactions. In 1997, with three partners he formed EcoSite Corporation, a company to provide professional leasing assistance to landowners regarding cell tower site ground leases. EcoSite was successful in securing the representation of Wal-Mart Stores, Inc. for the promotions of Wal-Mart and Sam’s store locations as cell site candidates. EcoSite employs computer management systems for marketing, communications and general file organization. Mr. Walker became the sole owner of EcoSite in 1999. In October 2002, he joined the Catlett Law Firm, PLC. Mr. Walker has extensive experience in complex business transactions. He has been involved in the negotiation, drafting and review of leases, contacts, bonds, insurance policies, zoning and board of adjustment hearings, utility contracts and appeals. His current practice is focused on commercial litigation matters. Mr. Walker teaches various continuing education courses in the areas related to real estate transactions including Easements & Right of Ways (1993 & 1996), Best of CLE, Advising Clients on Zoning Issues (1990), Boundary Law in Arkansas (1999), Land Survey Law (1998), Undisclosed Defects in Real Estate (2002), Solving Real Estate Title Problems in Arkansas (2005), Commercial and Residential Evictions and Collecting Overdue Rent (2006), Residential Landlord Tenant Law (2008), Real Estate Law: Advanced Issues and Answers (2008). He has served on the Board of Commissioners for the Little Rock Housing Authority, (Chairman 2009). The Little Rock Housing Authority is the largest public housing agency in the State of Arkansas. He is currently a member of the Board of Directors of the Goodwill Industries of Arkansas. He has served on other various charity and non-profit boards. He is a graduate of Class II of Leadership Greater Little Rock sponsored by the Little Rock Chamber of Commerce. He is a graduate of the Little Rock Police Department’s Citizen’s Police Academy. Mr. Walker served 6 years on the Little Rock Planning Commission (twice as its self appointed chairman). He served one year as a citizen goal for public education committee member: Finance. He served six years on the Culver Summer School Alumni Association Board. He is a member of Pulaski Height United Methodist Church.